Respringing is a way of restarting your device without going all the way back through the boot chain. Think of it like restarting the operating system, but not the whole phone. If you're familiar with Android devices, a respring is functionally identical to a soft reboot. This feature is especially useful if your iPhone or iPad is jailbroken, because it can help troubleshoot issues with outdated tweaks. Respringing is also a great way to "restart" your phone when you have an untethered jailbreak, as you usually won't have to reapply jailbreak after doing so. While there are plenty of respring tweaks available in Cydia, many are included in custom repos that you have to manually install. 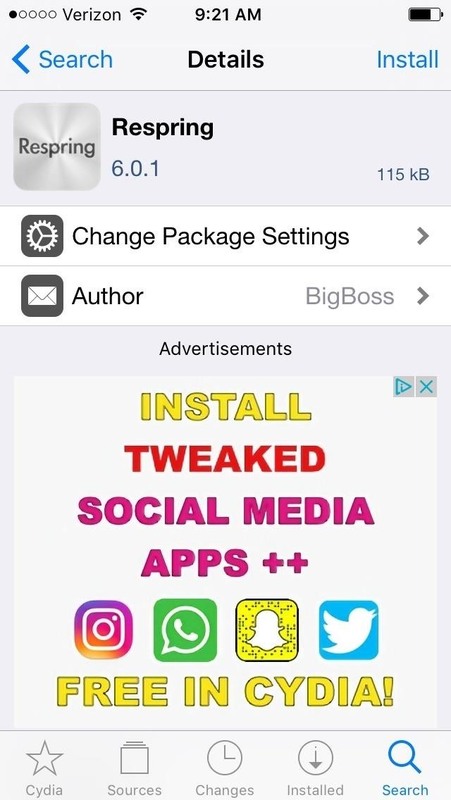 So to make it as hassle-free as possible, we'll show you how to install a utility that's available for download in Cydia by default. To get started, open Cydia and tap on the search icon in the bottom-right corner, then type "respring" into the provided field. 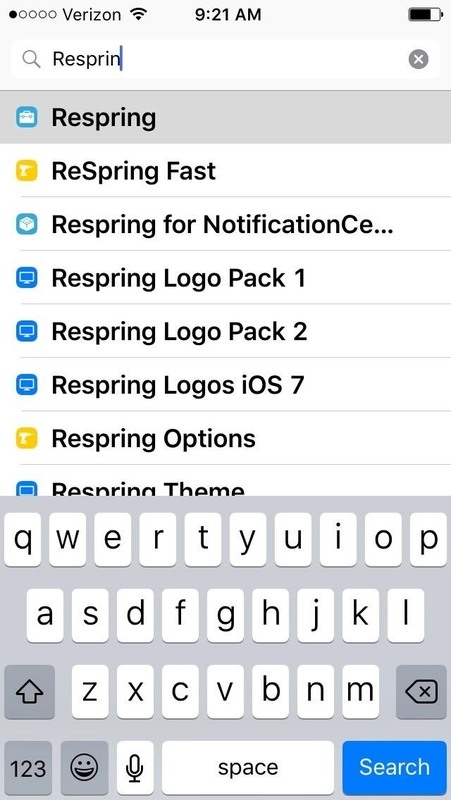 The tweak we recommend downloading is simply called "Respring," so select the corresponding search result when you see it. From there, tap "Install" in the upper right corner of the utility's detail page, then press "Confirm" to finalize installation. Wait for Cydia to completely install Respring, then tap "Return to Cydia" once it's finished. 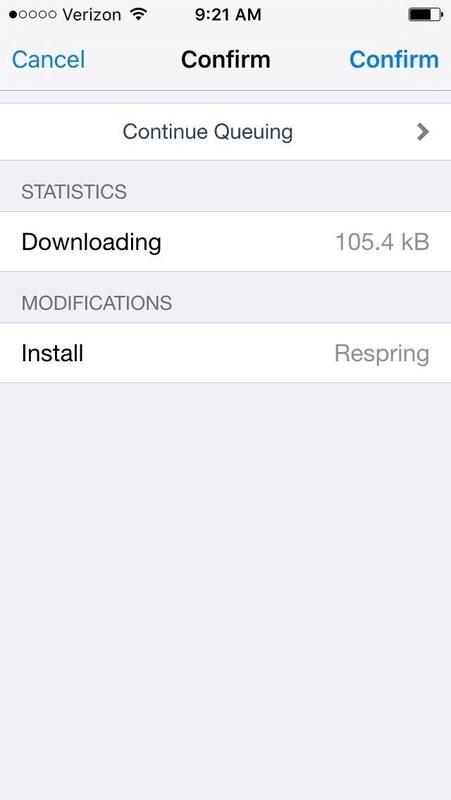 You can now exit Cydia and go back to your home screen, where you'll notice a new app called "Respring." But don't tap on the icon just yet, as doing so will immediately respring your iPhone. For this reason, we recommend moving Respring into a home screen folder where it's out of the way. With the Respring icon present, you can now restart your iPhone's system with a single tap whenever you want to troubleshoot your device. And because it's only restarting your OS, it's a lot faster than a regular reboot. 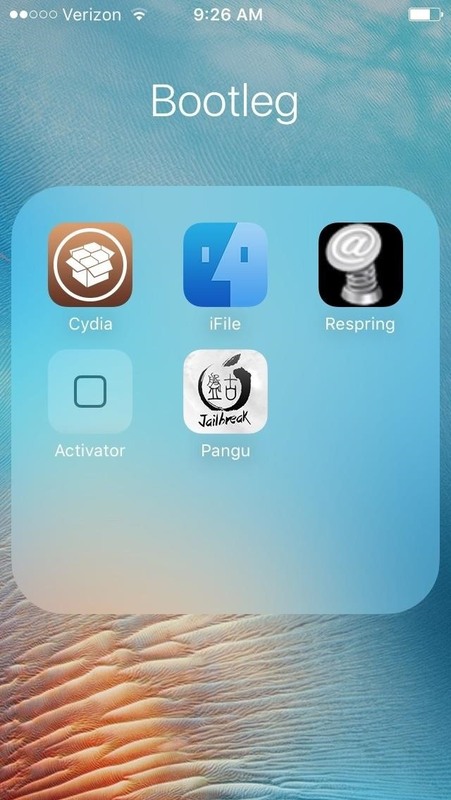 What other Cydia-related respring tweaks would you recommend? As always, make sure to share your thoughts in the comment section below.